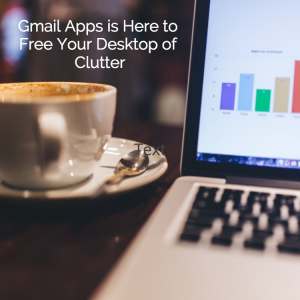 The tools that Gmail Apps have will make you re-think why you ever sweat the small stuff. I can’t tell you how many times I’ve had something shut my computer down while working in Microsoft Office; I would lose all of my work because I didn’t click the save button regularly. Gmail Apps has made life a little easier with their automatic save as well as many other great tools. Gmail Apps is being used in 1 out of every 5 offices in the United States. All of your work gets saved right into Google Drive, so you don’t have all the clutter of documents taking up the space on your desktop. Just like Google Drive you have access to your word documents, spreadsheets, or slideshows with any mobile device, tablet, or computer. Along with the automatic saving feature, Gmail Apps allows you to share and collaborate with others sharing: your documents, spreadsheets, or slideshows by simply hitting the share button and typing in the recipient's email address — you can even share your latest works with a link. 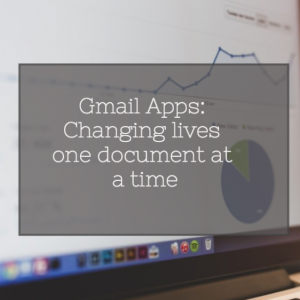 Let’s take a closer look at what Gmail Apps has to offer with their Google Docs, Google Sheets, and Google Slides. Gmail Apps introduced Google Docs in early 2007. It is Google’s version of Word, it has all the editing and styling tools you need to format your word document. Google Sheets and Google Slides are? much simpler versions of Microsoft Office’s Excel and Powerpoint. They don’t have every feature that office has but Gmail Apps offers a more user-friendly experience. What’s makes Gmail Apps versions different? The difference between Gmail Apps and Microsoft Office is that you don’t have to download any software to start using Google Docs, Google Sheets, and Google Slides. Simply log into your Gmail account and your apps are all there! With Gmail Apps, everything is free! What’s better than that? What does “sharing and collaborating” mean? Another way that Gmail Apps stands out from Microsoft Office is with it’s sharing and collaborating tool. To send a document you have created inside Microsoft Office you have to save it, create an attachment in an email, and send it. We all remember saving multiple versions of word documents, we save the first copy as “draft 1” send it it get edits then it’s changed to “edits 1” then “final copy” and gets edits again to “final copy 1 edited,” and the last document saved is “final copy 2.” Gmail Apps is here to clean up that messy way of sharing! The collaborating option allows whoever you share with to make edits and/or comments onto your document. With Gmail Apps sending is considered sharing. You can share your documents by simply typing in your recipients email address and hitting “share” and that’s all! If you don’t want edits made to your document you have that option as well. Before hitting share, you can allow the recipient to make suggestions — which the edits are made into suggestions and nothing is changed on your document without your consent. 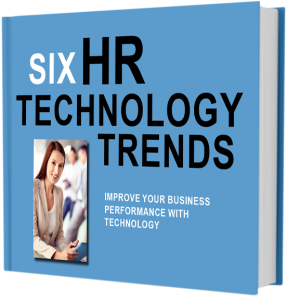 The other is the view only option which only allows the recipient to read or print the final document. What if there is no internet? A common question asked of Gmail Apps is if you can access your documents while you’re offline — the answer is that you certainly can. Google docs has an option to enable offline editing to access your work documents from wherever your location may be. Gmail Apps seem to have it all! Of late, I am a Gmail Apps convert (? )I have depended on Gmail apps a lot — it has never disappointed. I love having access to my work from whatever device I’m on and wherever I am.. Can’t wait to see what Gmail Apps releases next! Google Docs, Google Sheets, and Google Slides are not just a great part of Gmail Apps, it’s integrated with Ving! When you are creating your next Ving, select one of your Google Drive files. Your collaborative work can be shared in an interactive, trackable, beautiful layout in seconds. You can find Ving in the Google Chrome Web Store. Download the extension today and you will see VingMan in your Gmail account inbox. VingMan gives you easy access to create and send Vings, check your inbox, and much more! Get VingMan in your Gmail inbox today with the free trial below!